We now know when two-time Tony nominee Laura Osnes and Corey Cott will bring jitterbugging to Broadway! 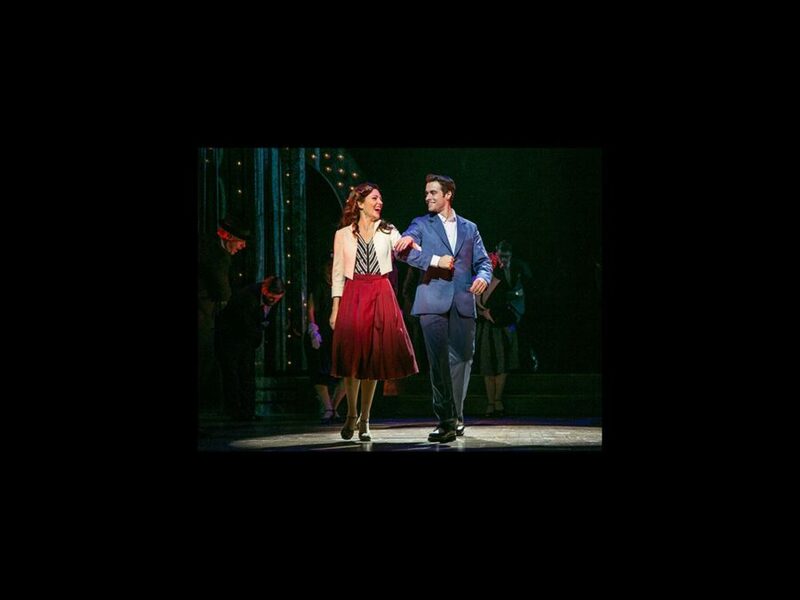 Directed and choreographed by Hamilton's Andy Blankenbuehler, the previously reported transfer of the Paper Mill Playhouse production of Bandstand (they've dropped the "The" from the title) is scheduled to officially open on April 26, 2017 at a Shubert Theatre to be announced. Osnes was Tony nominated for Bonnie and Clyde and Cinderella; additional Broadway credits include Grease, South Pacific and Anything Goes. Cott has been seen on Broadway in Gigi and Newsies; screen credits include Madam Secretary, The Intern and The Teacher. First preview date, exact venue and further casting will be revealed later. The Paper Mill company also included Tony winner Beth Leavel, Joe Carroll, Brandon J. Ellis, James Nathan Hopkins, Geoff Packard and Joey Pero.